When we adopted our rescue hound Chuk, we knew he had been badly treated, covered in abrasions and burns. Starving and limping. We have been able to help him overcome most of the problems, but the sore front foot caused by a break in early years, despite many trips to the vet, remains sore. That’s why we are happy that CBD pain relief is now available for Chuk. Most of us when we have been around for awhile have a stress, strain or pain somewhere so pain relief can be a big deal. The legalization of CBD can help relieve pain, but as I looked beyond this benefit, I fund that CDB offers much more. That’s why I was pleased to see that Athelete’s Best, the supplier of the main food supplements I use have added preium CDB supplements. 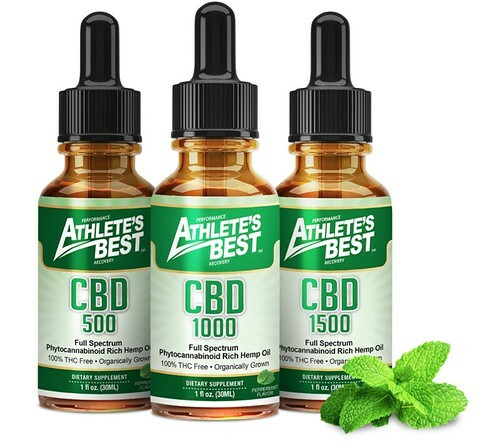 I asked Kris Vigue CEO Athlete’s Best to give us a report on CBD and how it can be used. By now you’ve most likely seen the term “CBD” over the past couple of months and wondered what all the hype was about. Late last month, Congress passed the 2018 Farm Bill which legalized hemp for the first time in over 80 years. Why is this significant? Hemp-derived CBD is no longer part of the Controlled Substance Act. Cannabidiol, or CBD for short, is a powerful non-psychoactive plant extract that has been used medicinally for over a thousand years. CBD is one of at least 113 cannabinoids extracted from the cannabis plant. Many people still confuse hemp and marijuana as being the same, however they are very different. Marijuana has high amounts of the psychoactive compound THC, or delta-9 tetrahydrocannabinol, the compound that causes a high. Hemp on the other hand has trace amounts of THC. In fact, in order to be legally cultivated, hemp must contain less than 0.3% THC. Until the passing of the 2018 Farm Bill, the laws treated hemp as if it were the same substance as its THC-laden relative. Under the 2018 Farm Bill, hemp has rightfully been removed from the Controlled Substances Act (CSA) and is now considered an agricultural product. CBD is quickly becoming a mainstream ingredient within the wellness community as the benefits that are being reported range from reduced anxiety, less stress, less arthritic and joint pain, better mood, a more peaceful state of mind and restful sleep. CBD was approved for the treatment of epilepsy earlier last year by the FDA. Our friends over at Athlete’s Best™, father and son Dr. Jim & Kris Vigue, added CBD into their product line after successfully eliminating their golden retriever’s epilepsy with CBD. This inspired them to seek out and eventually provide what they believe are the highest quality CBD products available on the market. Capsules: Capsules are a convenient way to get an exact dosage of CBD. Dosages vary, but typically they will contain 10-25mg of CBD per capsule. Look for water soluble CBD capsules as they offer 8x greater absorption over typical capsules. Unlike tinctures where you can control your dosage with just a few drops, the capsules are an exact dosage. Hemp Oil and CBD Oil are often confused as being the same. Hemp oil does not contain the beneficial cannabinoids such as CBD, and are the only products currently being sold on Amazon. You cannot purchase CBD oil from Amazon – the products are not allowed to be sold on there at this time. The hemp seed oil you might have seen in local stores is extracted from the seeds of the plant. Hemp seed oil is popular because it serves as a source of important nutrients, including polyunsaturated fatty acids and proteins, but does NOT contain CBD or other supporting cannabinoids. CBD is effective in its many applications because there are specific receptors throughout our bodies that react and bind with CBD. These receptors comprise what is called the endocannabinoid system (ECS for short). There are two types of receptors within the ECS that react to cannabinoids: CB1 and CB2. Cannabinoids and their receptors (CB1 and CB2) work much like a lock and key. 2. Reduces Anxiety. CBD has shown to reduce anxiety in patients with social anxiety disorder and researchers suggest that it may also be effective for panic disorder, obsessive compulsive disorder, and post traumatic stress disorder. 3. May Help Fight Cancer. Research shows that CBD benefits include being effective fighting against breast cancer cells, and data also suggests positive improvements with those suffering lung, colon, and prostate cancer. De Petrocellis L, Ligresti A, Schiano Moriello A, Iapelli M et al. Non-THC cannabinoids inhibit prostate carcinoma growth in vitro and in vivo: pro-apoptotic effects and underlying mechanisms.Br J Pharmacol. 2013 Jan;168(1):79-102. 4. May Treat Seizures & Other Neurological Disorders. Just one example, Kibo our golden retriever, was the inspiration for creating our entire CBD line of products. Four years ago, at the age of two, Kibo was diagnosed with epilepsy. If you’ve been in a situation where you have witnessed your ‘best friend’ experience something like this, it is quite traumatic for both you and your pet. I felt helpless and not sure how I could help him moving forward. There was always the pharmaceutical route, however I was worried about the toxicity effects and stress on his liver. This lead me to first discover the medicinal benefits of CBD. To make a long story short, we have created the purest CBD products on the market and Kibo’s health has benefited greatly from them! Kibo’s name means “Hope” and I’m hopeful (and confident) that you and your pets will experience optimal health through our products. 5. Nausea Relief. A 2012 study published in the British Journal of Pharmacology found that CBD has anti-nausea effects.